My dad taught me the magic of a postcard; the power of a 4x6 to capture the essence of exploration, the excitement of discovery, the memorable moments. Postcards were a ritual of every family trip, an art I came to love. As we begin a new year and our 30th anniversary as a family owned outfitter, I feel a greater need for rituals to root us and connect us; technology free traditions that ground us in our selves and our experiences. I used to try to see as much as I possibly could and plan every waking moment. In the over planning, fear of missing out mindset, I didn’t give myself the opportunity to experience the simplicity of being somewhere new. Nor did I give myself time to write postcards, journal, stroll aimlessly, or discover new things about myself. Travel after all is as much about getting to know oneself as it is about discovering new territory. 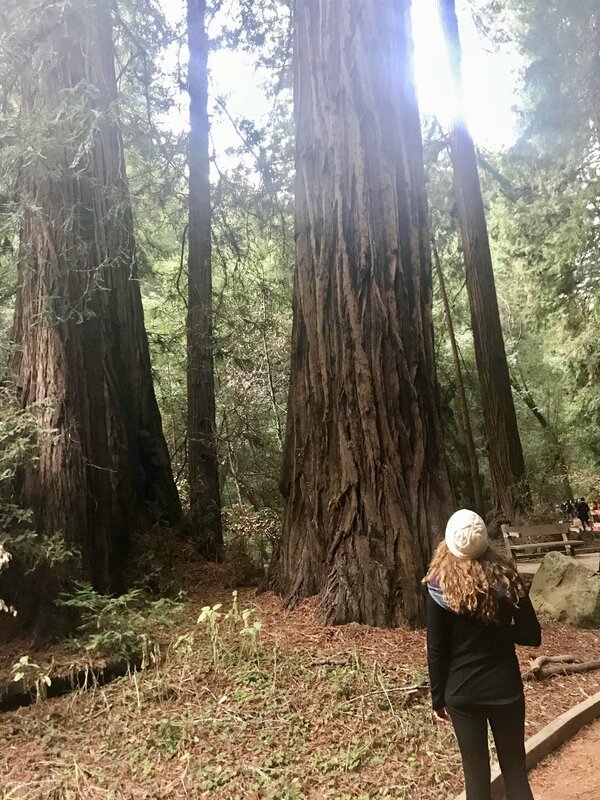 Wondering at the wisdom of big trees. Staying warm and comfy in Prana leggings, Smartwool jacket and Patagonia hat. 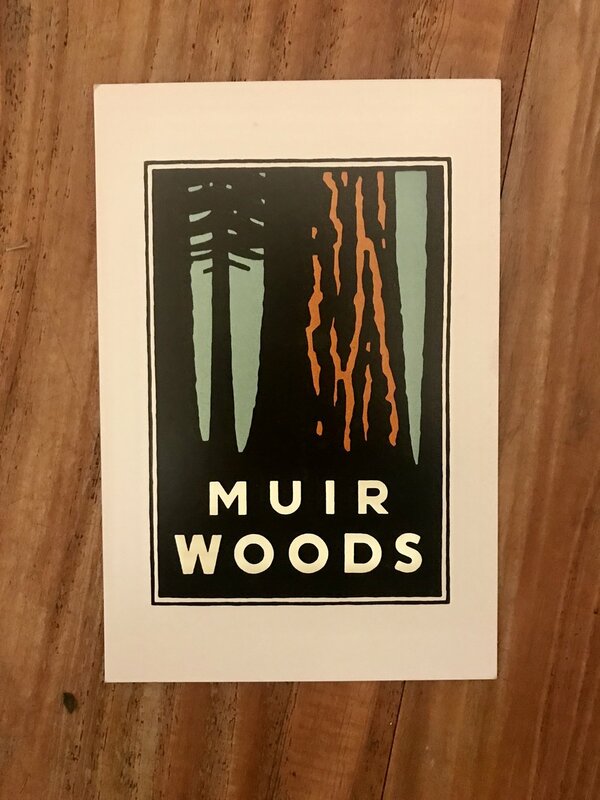 Muir Woods took my breath away. Trees towered all around us obscuring the sky. 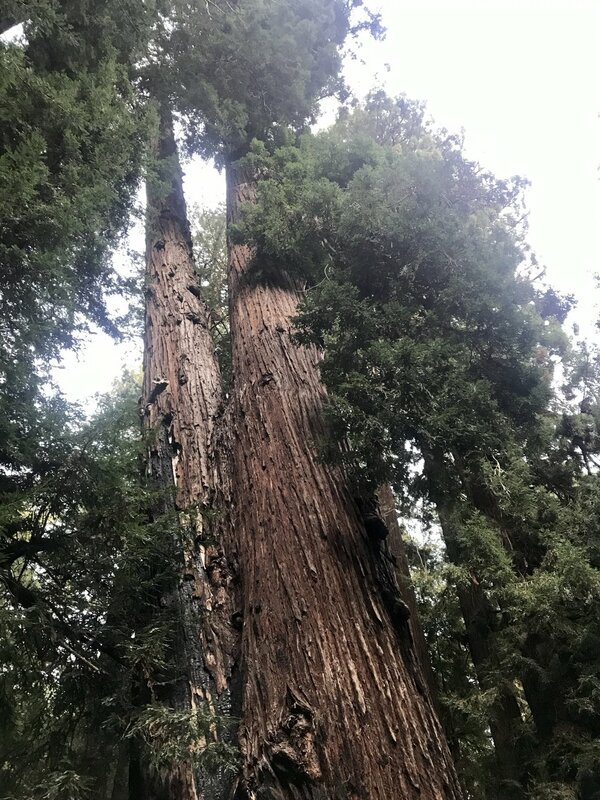 The Red Woods are as awe inspiring as they look, giants with trunks that would take my whole family to wrap around. I walked slowly, breathing in the woodsy air with a hint of salt from the nearby Pacific, pausing to feel the thick, solid bark on my palm. As we left Muir Woods, a blood orange grapefruit sunset melted into the Pacific and we had to pull over and get out of the car because it was too stunning to stare at from the road. The sunset over the Pacific. It was after dark when we arrived at my friend’s house in Calistoga at the top of the Napa Valley, the vineyards and olive trees silhouetted in the light of the moon. We cooked and enjoyed delicious wine from a nearby vineyard. My friend’s family and friends filled the house. The convivial nature of the group made for great conversations on long walks through wandering vineyard roads and hikes in the Bothe Napa State Park. One of my favorite views is from Coyote Peak. Lunch at Oakville Market was a treat but nothing as delicious as the homemade pasta we had last night hand rolled by a friend who works at an Italian restaurant in Venice. Today we adventured to Calistoga for an afternoon stroll on the bike path and a wander through Copperfield’s, a local independent bookshop. The unplanned days fill with writing, reading, yoga on the lawn, and walks that turn into treks because the beauty of this place pulls you in, leading you on, seducing you until you feel weak at your knees; especially if you keep walking till sunset when the light bathes the valley and surrounding mountains in a golden glow. I packed mini canvases and tiny carry-on approved paints for everyone to do a little picture to capture their experience. I’m grateful for the time and space to be creative in a new place, to take in the light, to feel the wind on my cheeks and hear the sound it makes rushing through all those rows of vines, thankfully untouched by the fires. 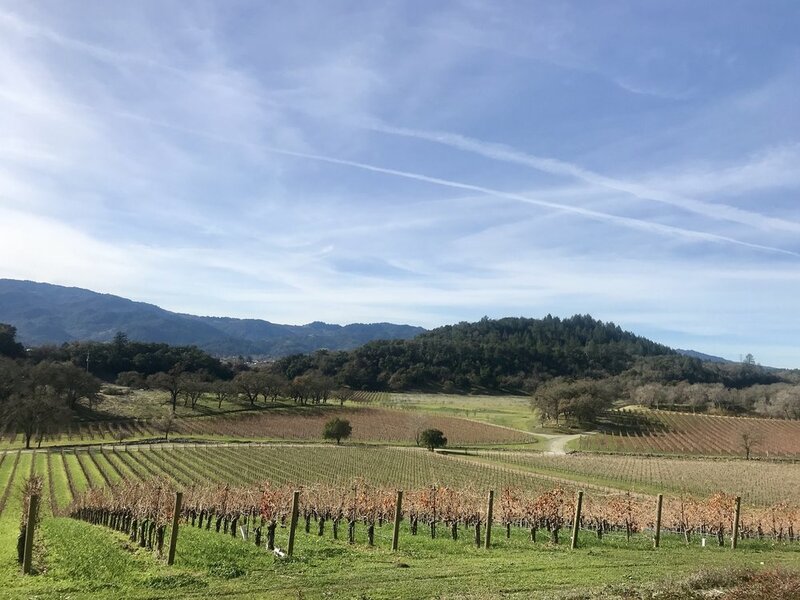 We did some great wine tasting but in my experience, the real flavor of this valley is in the sips of olive trees and vineyard vines and dry California air. I will never forget watching the super moon rise over the Vineyard on the first of a new year, a reminder to be radiant. I would love to read your comments! Please let us know what your travel philosophy is or something you seek out when adventuring. Emily and Betsy SO excited for your comments!